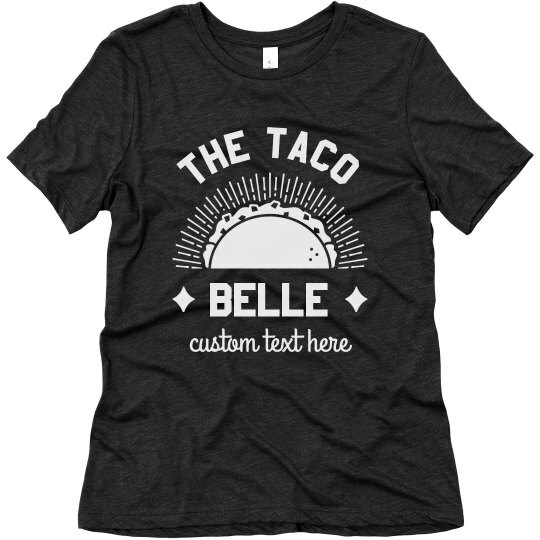 Get your bar crawl on with a comfy taco belle t-shirt! Nothing will make you stand out more with the fun and festive taco design, but an added feature is the customization! Add your own text to share something like your favorite drink or taco. Whatever you want!